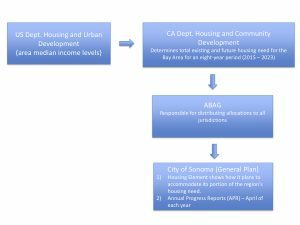 At their meeting on Monday, April 1, 2019, the Sonoma City Council reviewed and unanimously approved the City of Sonoma Housing Element 2018 Annual Progress Report. 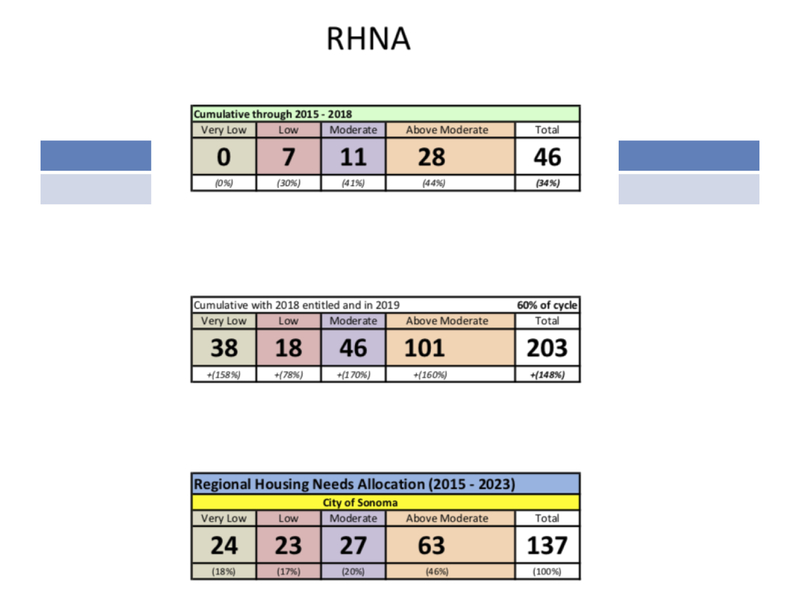 California’s Housing Element law requires that each city and county develop local housing programs to meet their “fair share” of existing and future housing needs for all income groups. 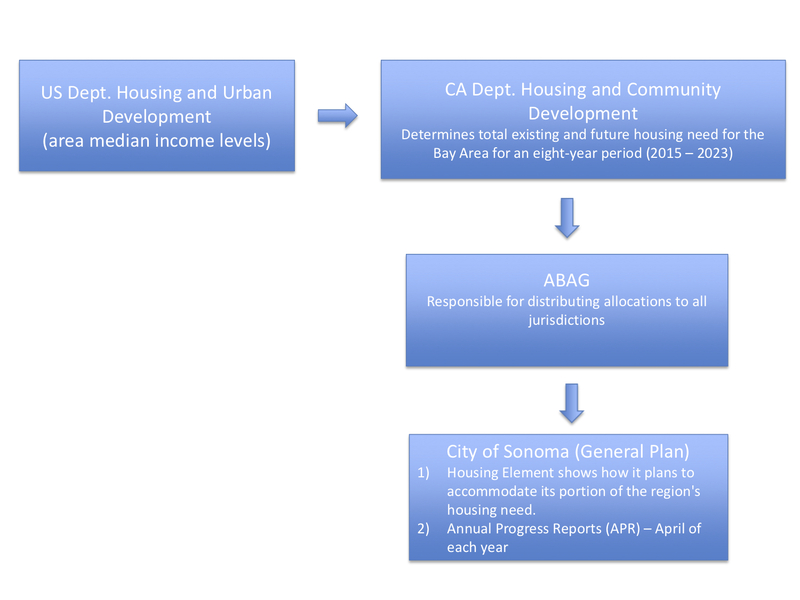 The Association of Bay Area Governments (ABAG) is responsible for developing and assigning these “Regional Housing Need Allocations,” or “RHNA”, to Bay Area jurisdictions. Extending the Accessory Dwelling Unit Fee Waiver Program to encourage the construction of Accessory Dwelling Units (Ordinance 80-2018 adopted on December 3, 2018). Fee waivers are limited to one per residence and capped at $5,000, with $30,000 available for this program as one-time funding. Continuation of the ADU fee waiver program; one reimbursement has already been issued calendar year 2019. 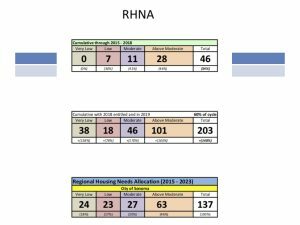 Completion of the City’s housing nexus study, new housing impact fees and modifications to the City’s housing inclusionary ordinance. Questions? Contact the Planning Department. For more information, please visit our Housing page.